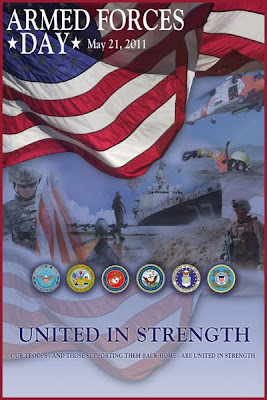 In August 31, 1949, Secretary of Defense Louis Johnson announced the creation of an Armed Forces Day to replace separate Army, Navy, Marine Corps and Air Force Days. The single-day celebration stemmed from the unification of the Armed Forces under one department -- the Department of Defense. 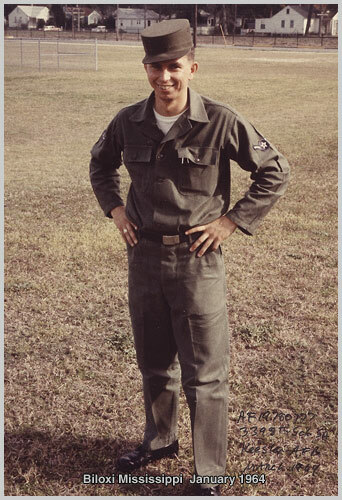 I volunteered to enter the US Air Force, with the promise that I would be sent to Armed Forces Radio-TV school. But the "silly-willies" (civilians working in Base Personnel) miss-categorized me, sending to Ground Radio Operator school. The outcome of that scenario doomed me to wander the jungles of South-East Asia with a back pack radio, calling in air strikes! I'm smiling with joy that I finally, cleverly, flunked out of Ground Radio Operator school, and was being reassigned from Keesler AFB, Mississippi, for On the Job Training as a Personnel Specialist at Hamilton AFB, just north of "Baghdad by the Bay" - San Francisco! The outcome of that scenario was much much better! To all active duty and former military personnel, "Thank You!"